I don't really want to start a bunch of journals for my various colonies and I may not keep this updated but I will give this a try. 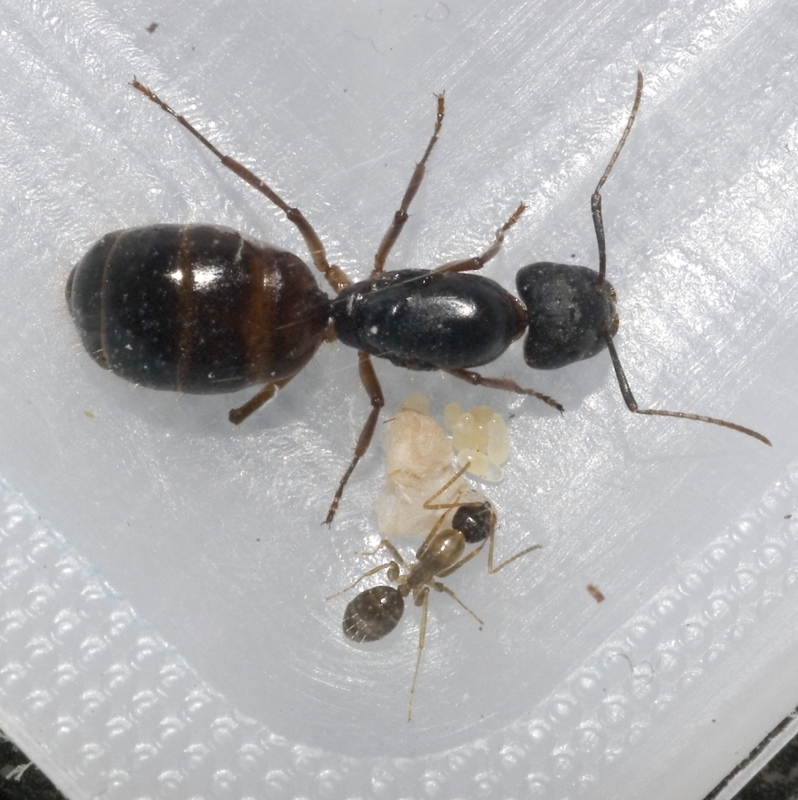 Next up is one of the queens I found that got me back into ants. This queen in a deli cup is doing the best out of the four. She has two cocoons so far! 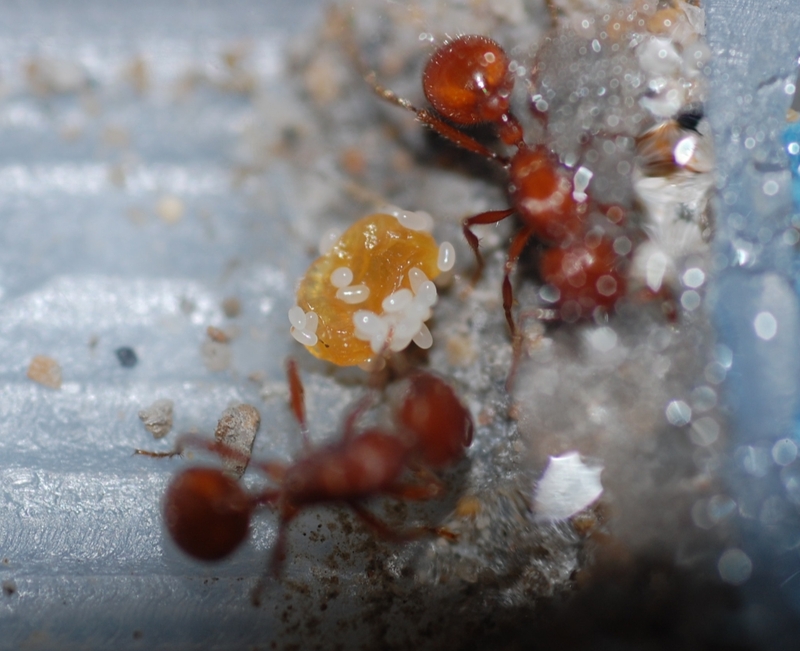 Last up, here is the Tapinoma sessile colony with a few new workers. They are in a prototype of the setup above. 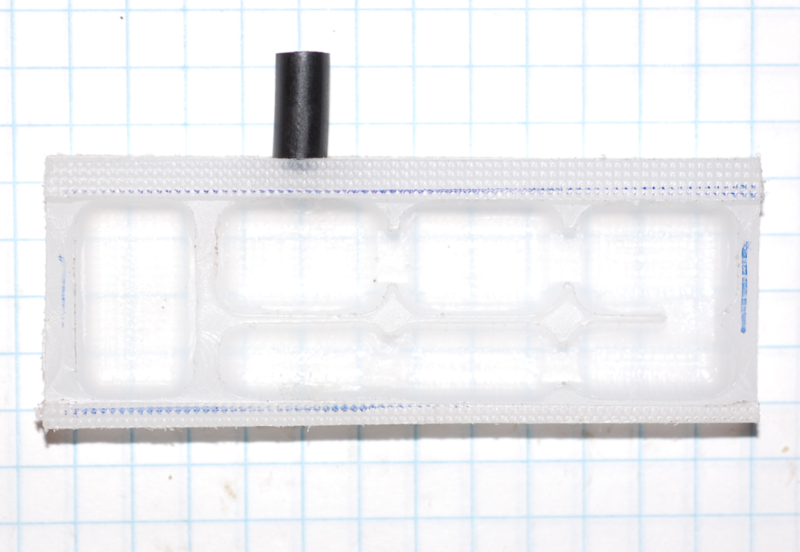 My ants | My free feeder design | PM me if you need and 3d printing, cnc machining, or manufacturing done. Wow Cool Setups, Hope the colonies do well for you! That's a pretty neat DIY nest. What did you use for the stock plastic? And what is the blue stuff? HDPE plastic cutting board. Cellulose sponge. 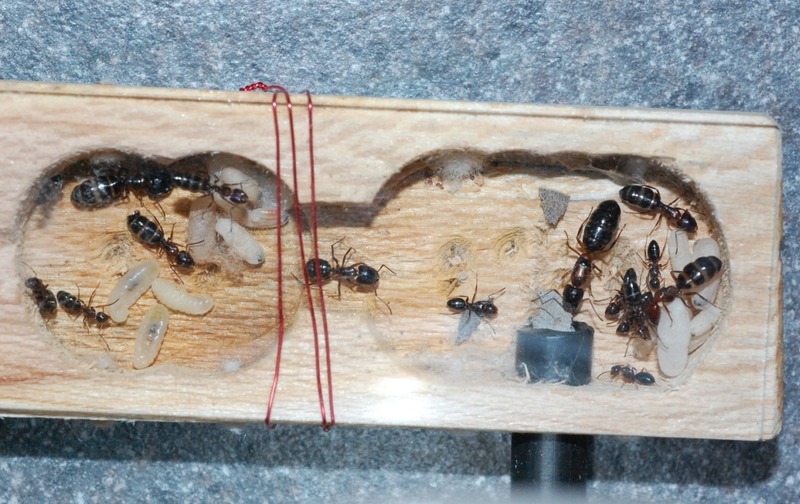 How did you get two different Camponotus queens to play nice together? Where did he say he did? You can see them in the second photo. Nevermind, it is a soldier. The queen is covered in the third photo down. The fourth photo shows both queens clearly. Edited by AntsNY, May 28 2015 - 9:06 PM. I think that species is polygynous. 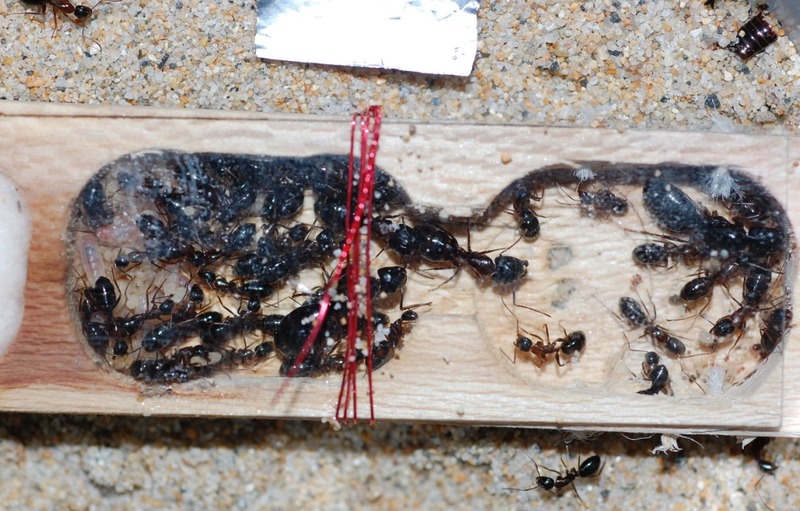 I have found a few colonies of those Camponotus under rocks and most have had two queens kicking around. Those two are from different colonies to start with actually. 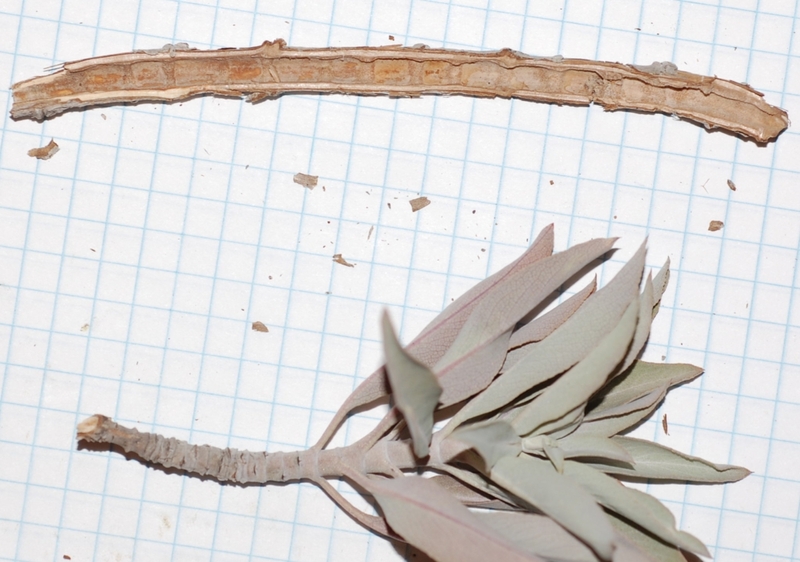 I found some Pseudomyrmex apache in a Salvia alpiana (White Sage) twig! Unfortunately I didn't get the queen...but its cool to watch these workers with brood anyway! 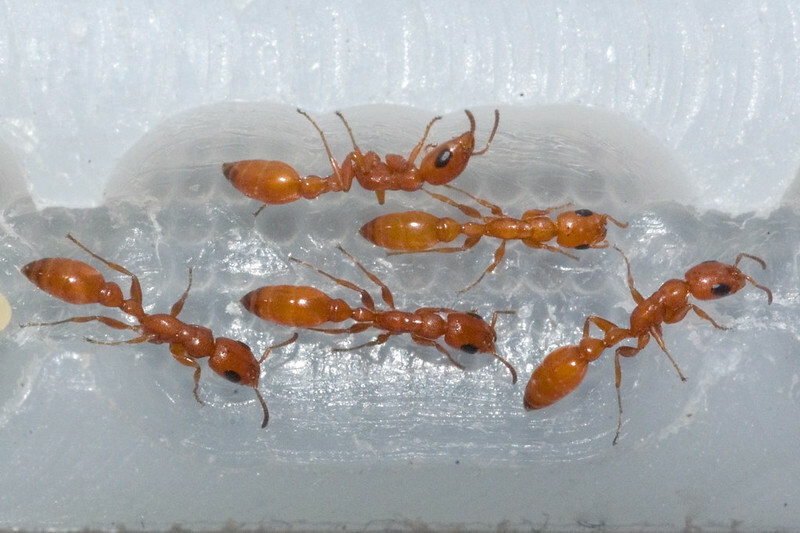 I'm definitely going to see if I can find a colony of those Pseudomyrmex apache this year. 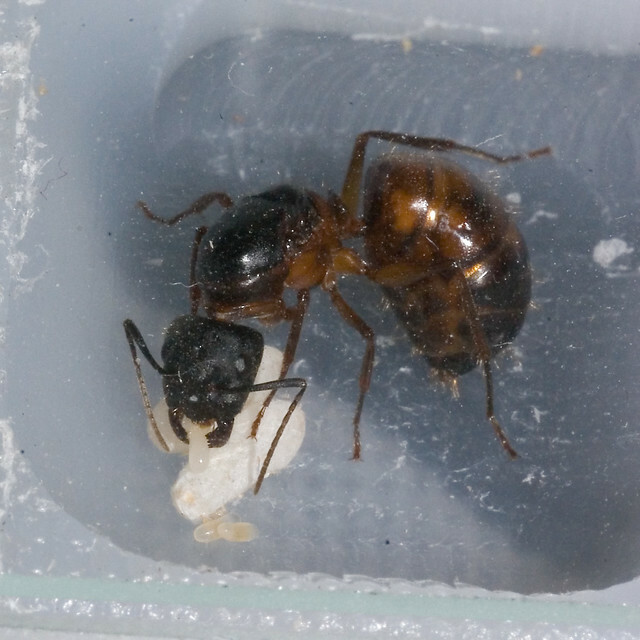 One of my Camponotus queens just got her first worker last night! Also, could you show us how you make these plastic/acrylic nests? I make the nests from HDPE cutting board material with a drill press, cross slide, and patience. I might stick some of this format of nest up for sale/trade soon if anyone is interested. All these photos are from the last day or two. Those are some nice looking pictures of your ants! 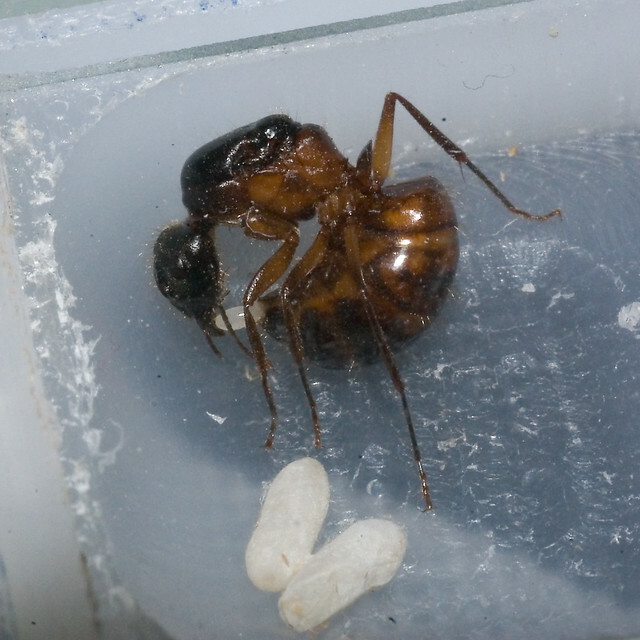 I managed to capture a Camponotus queen laying an egg too! I fed orange to a couple of the groups of queens I am trying out...they decided to stick their eggs to it. Pretty odd. They might be trying to keep the eggs moist.